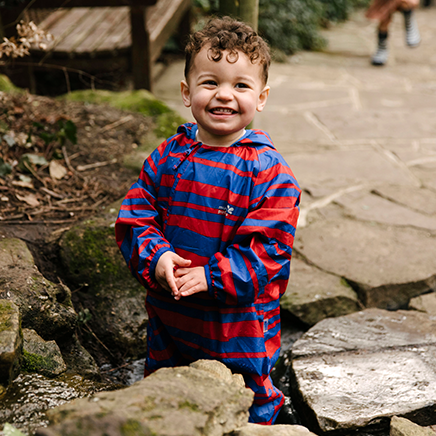 Our boys' snow boots are carefully designed to really keep the snow out and the warm in so young adventurers can throw snowballs and sledge all day long. 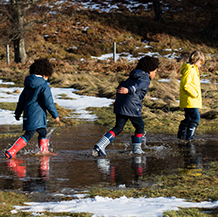 Our snow boots for boys have strong, grippy rubber soles and secure zips or laces so muddy pups won’t slip over and can fully embrace the snow. 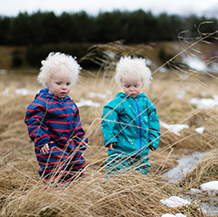 Boys winter boots are essential for racing around in the snow and ice. 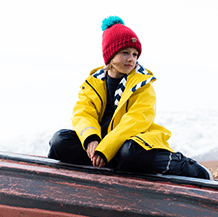 Designed from vegan suede and a rubber sole with a removable insulated slipper our snow boots for boys are perfect for adventures. 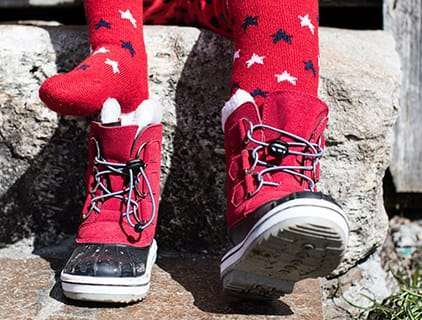 We have the whole family covered – browse our range of snowboots for girls and babies. 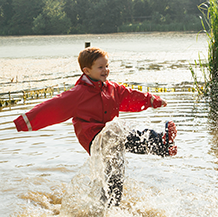 Prepare for skiing with our winter boots for boys which keep feet warm and dry and ready for big excursions. 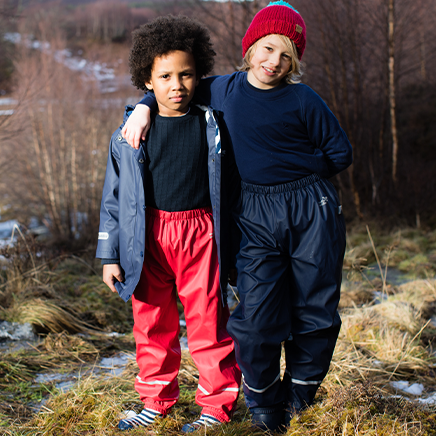 Partner his snowboots with our cosy and protective ski wear to keep him warm and dry whatever the weather. 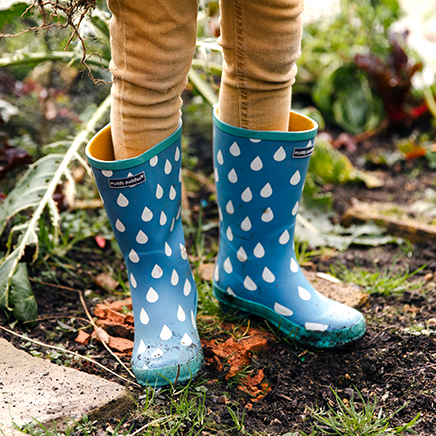 Keep little ones warm in the cold and snow up to minus temperatures with our toddler boy winter boots in bright blue and red. Cosy and comfortable to wear all winter. 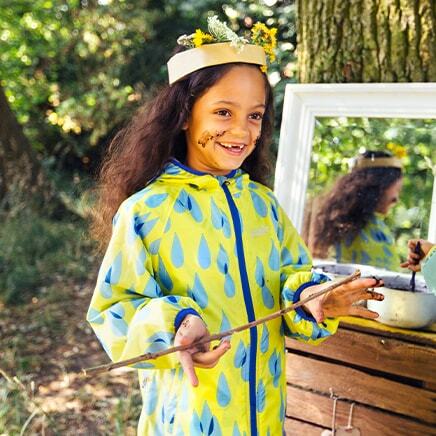 Check out our fun and practical boys waterproof jackets and trousers for a weatherproof protection head to toe.